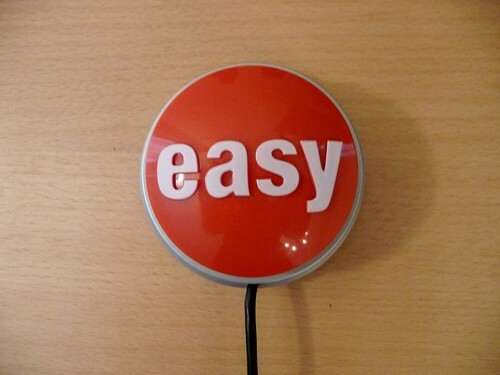 I called this modified Easy Button the Easy Program Launcher. 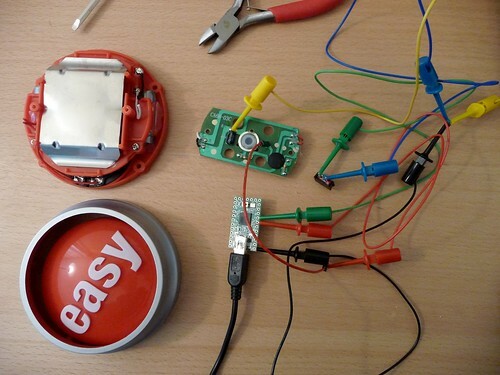 Like the AWESOME Button, the Easy Program Launcher uses a Teensy USB Development Board embedded within a Staples Easy Button. 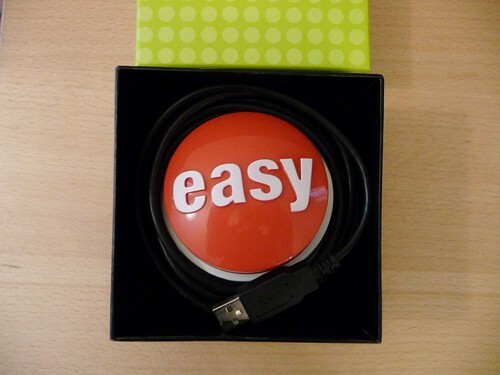 Whenever the Easy Button is pressed, key codes are transmitted to a computer through a USB connection. For the case of the Easy Program Launcher, the transmitted key codes cause an application to be launched on the computer. Because the software initially targeted by the Easy Program Launcher works with both the Windows and Linux operating systems, the Easy Program Launcher has also been designed to work with both the Windows and Linux operating systems. 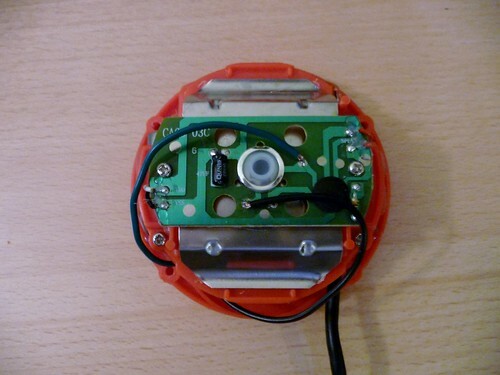 A slide switch, hidden within the Easy Button's battery compartment, is used to select between the Windows and Linux modes. 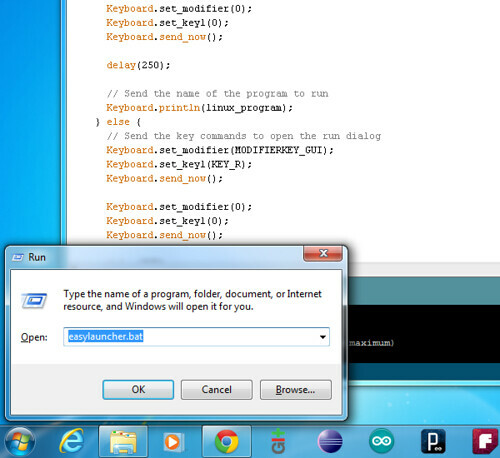 The project's key code transmission software was created using the Arduino IDE with the Teensyduino software add-on. Application launch was achieved for Windows by transmitting the 'WinKey+R' key combination followed by the name of the program to be launched, and for Linux by transmitting the 'Alt+F2' key combination followed by the name of the program to be launched. 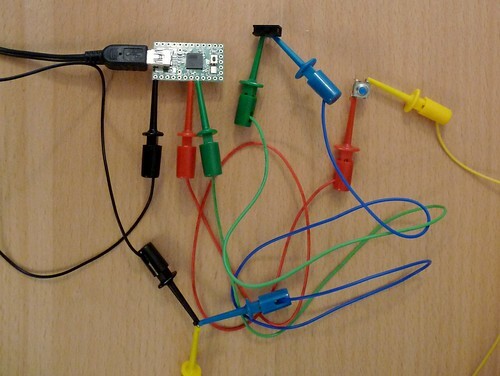 The initial circuit tests were made with the button and switch connected to the Teensy's D0 and D1 pins, but the B0 and B1 pins were used for the final version of the circuit. 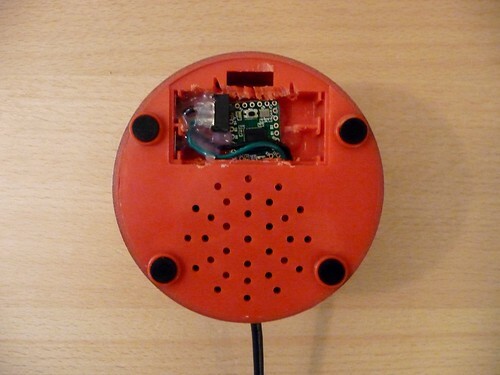 Pull-up resistors are not required for either the button or switch because the Teensy's pins have their own internal pull-up resistors that can be enabled in software. Instead of sending the name of a specific application to be launched, the Easy Program Launcher sends the name of a batch file (shell script on Linux) that can be customized to launch any program or execute any series of commands. I have created a separate project page for the Easy Program Launcher, where source code, schematics, and instructions for building an Easy Program Launcher button can be found. Click here to learn more about how you can build your own Easy Program Launcher.